Home Nigerian News Federal Government Owes Gown, Shagari, Olusegun obasanjo and Goodluck Jonathan Retirement Allowances. 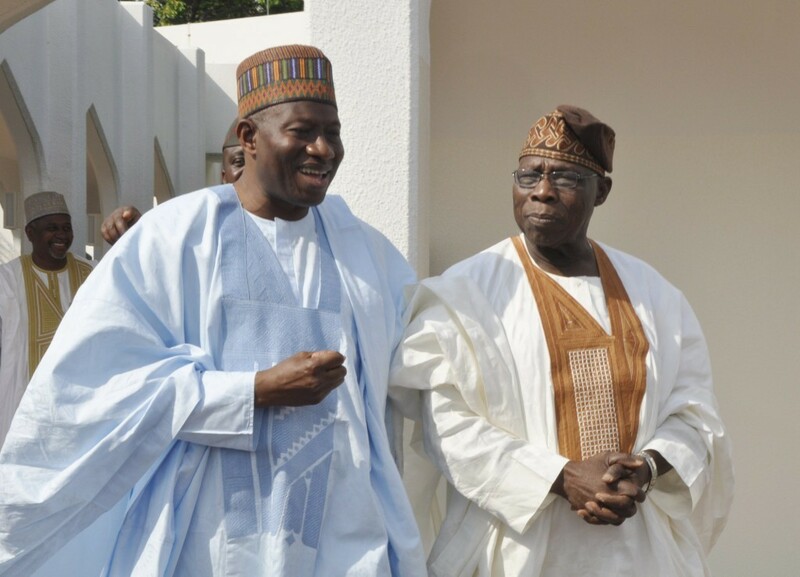 Federal Government Owes Gown, Shagari, Olusegun obasanjo and Goodluck Jonathan Retirement Allowances. Olusegun Obasanjo , Alhaji Shehu Shagari among others have not been paid their retirement allowances since January 2016. This shocking revelation was made by the Secretary to the Government of the Federation (SGF) whilst the Senate Committee on Federal Character and Inter-Governmental Affairs, led by Senator Tijjani Kaura (APC , Zamfara North) visited during her oversight functions. attributed the failure to pay the former leaders their entitlement to the unavailability of funds in Service Wide Votes for salaries of former presidents. The Senator Tijjani Kaura (APC, Zamfara North)-led committee members frowned at the non-payment of the former presidents’ entitlements. They canvassed joint action between the Office of the SGF and the committee to find an immediate solution to the problem describing the development as “most unfortunate. The lawmakers also emphasised the need to draw the attention of the budget office and ministry of finance to the development with a view to having the issue addressed immediately. Vice Chairman of the committee, Senator Suleiman Hunkuyi, described the non-payment of former presidents as abnorm. “What we have seen here is an abnormality. Before referring any matter to the National Assembly, it is a function of the executive to appropriate funds. Therefore, the SGF should understand that there is something wrong in this office that must be addressed. A Governor of Sokoto State, Senator Aliyu Wamakko, also criticised the non-payment of former presidents by the office of the SGF. “Others affected are the Inter-religious council, traditional rulers council and so on. For some reason, we have been writing and writing, but there has been no response. And there is presently no money to pay them. “We can understand if former President Goodluck Jonathan has not been paid because he just left office. But for someone like Shagari, who lives from hand to mouth is something I can’t understand. This development is really unfortunate; It doesn’t indicate seriousness, and it doesn’t indicate fairness.